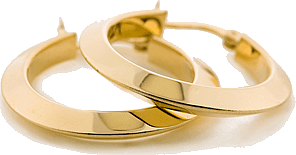 Do you own any old or unwanted gold earrings you would like to turn into instant cash? We at Brisbane Gold Buyers will come to you to purchase your gold earrings, along with any other type of gold items you want to sell. Don't leave those unwanted gold earrings lying in your drawer any longer! Take advantage of the current high price of gold and you could be receiving a very large cash payment. For more information, or to make a booking to sell gold, contact us now.